IF THERE’S ONE THING THAT BINDS these three gentlemen other than being mistahs (cadet lingo for classmates) in Philippine Mili­tary Academy who are known for the “thicker than blood” relationship, it is their newfound passion for bird photography and love for exotic birds. Get to know these three gentlemen who fond­ly share how they got into the hobby and how it became a passion. 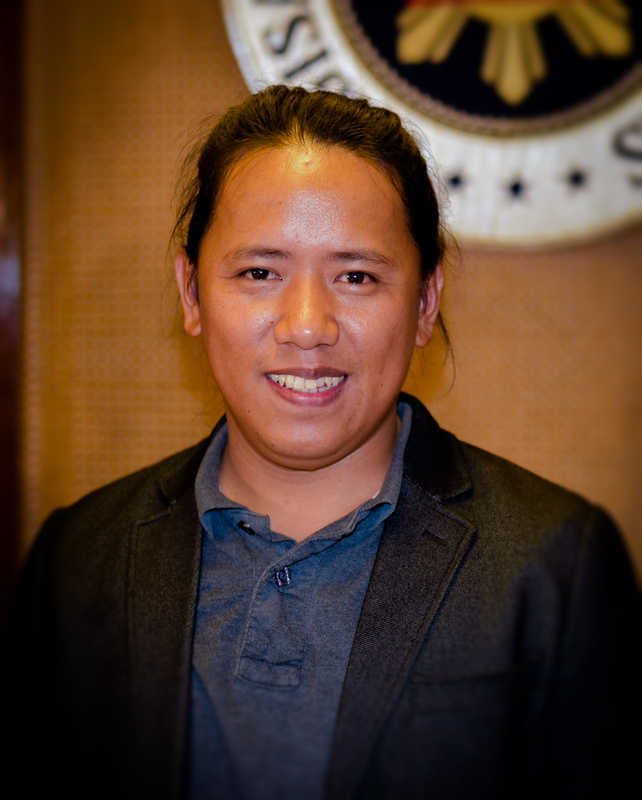 Neil Kondrad D. Binayao III or “Neil” con­siders himself as an “intermediate hobbyist who gets lucky shots”. His interest in photography came when he was assigned to one of the corpo­rate farms located at the foot of Mt. Kitanglad in Bukidnon Province. 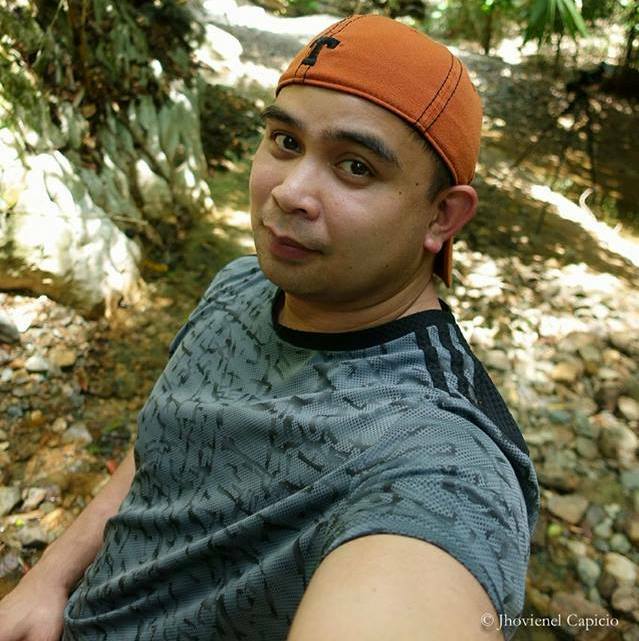 A former PMA Class of 2004 cadet, Neil now works as Indigenous People Support Man­ager for Hineleban Foundation Inc. (http://www.hineleban.org) whose main initiative is protecting and rehabilitating the forests of Mindanao, starting with his home province, Bukidnon. At work, he would always bring his birding gears and take photos. 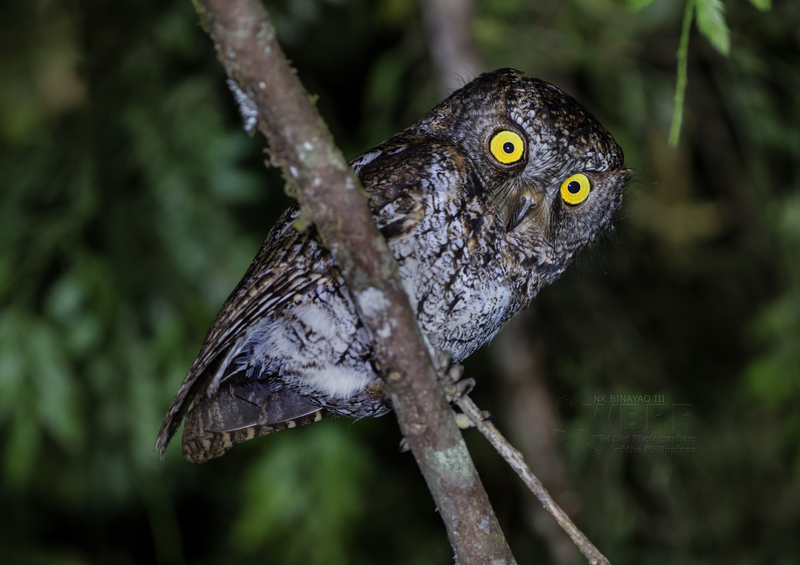 When his boss noticed the photos, he included “wildlife photography, especially birds that are found in Mindanao” as one of his official tasks. Neil took portraiture workshop once, but the rest of his knowledge came from self studying, Internet, books, and as he says, “plain luck”. Birds are very useful indicators for biodiversity, but they are very challenging to shoot, especially the really skittish ones. “We can shoot close to a thousand frames and go home with just a handful of ‘keepers’ or good photos. It’s this challenge that keeps us going back and trying to get a shot that is better than the last one,” says Neil. 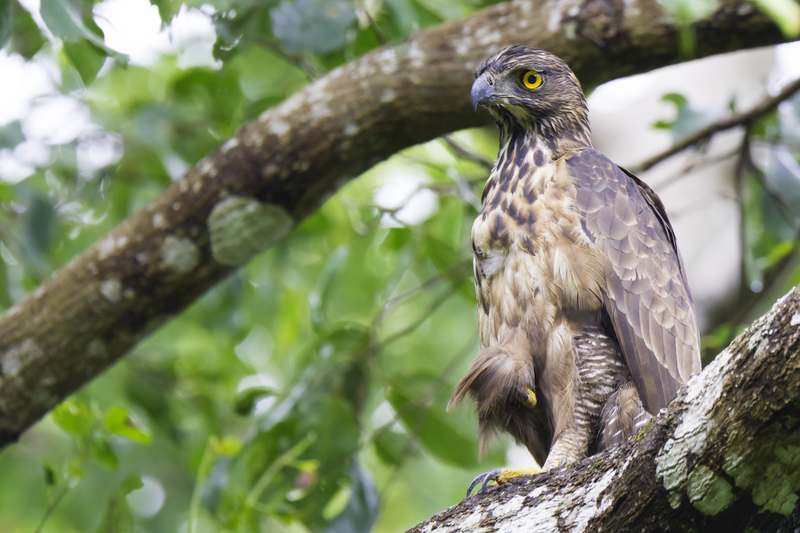 The Philippines has 572 identified bird species, out of which around 172 are en­demic, but wild birds almost never cooperate. “They would choose the worst perches: backlit, obscured, too high, or too far. It’s a very good exercise in patience. It also involves a lot of ‘observing’, using peripheral vision to detect a movement; camou­flaging, stealthy movement, those things we learned in PMA to avoid detection by upperclassmen,” he says. He’s also fortunate that he gets to travel and work at the same with his work, so he always brings his gears (which is either owned by the company or loaned to him by a friend) and try to squeeze in some “birding” time. To date, Neil has already been to Batanes, Mt. Banahaw in Laguna, Bukidnon, and all over Mindanao. Unlike Neil, Jhovienel Capicio or “Jhovs” , graduated as a member of PMA Class 2006 and joined the Philippine Air Force. He left the service a few years ago for better oppor­tunities and is now designated as Captain of Cebu Pacific Airlines. Airbus A320. Jhovs’ interest in photography started in high school, but only took it seriously when he was in the service. As a pilot, he has na-tural inclination to everything that flies, but credits Neil, his companymate in PMA, why he got into the hobby seriously. “He would always post pictures of birds related to his work. I was in portraiture and travel photography before,” tells Jhovs, who referred Neil as the “pasimuno” or ringleader. At present, Jhovs has already sold some of his photos to some stock photography sites and interested people. He also attends photography seminars and keeps plen­ty of photography books and magazines to keep himself updated. During his free time, Jhovs does wedding pre-nuptials and portraiture. “For those who are beginning to love pho­tography, read a lot. Watch tutorials online. And practice, practice, practice! Don’t buy the most expensive gears if you can’t afford it. It is not the gear that matters, but the one behind the camera who operates it,” advices Jhovs. A native of Kiangan, Ifugao, Joebert Nabejet Gobway or “Goby” was visiting Melacca, Malay­sia in 2013 when he saw a beautiful bird perched on a mango tree fronting their window. He took a photo of it using his first DSLR camera, Nikon D3200 with kit lens. “When I showed the noisy image to my wife, she exclaimed ‘BULBUL!’ (A bird’s name a.k.a. yellow-vented bulbul, Philippine bulbul, tablas bulbul). I stared at her and thought she was joking. She said that there is a bird sanctuary in Kuala Lumpur if I wanted to take more photos of birds. So that’s how it all started,” he shares. Like Neil, Goby didn’t finish PMA, but now works as full-time personal security based in Tablas Island in Romblon with his wife. If before Goby only tries to squeeze in pho­tography sessions every weekend, it became a regular thing after he acquired his telephoto lens last April 2016. 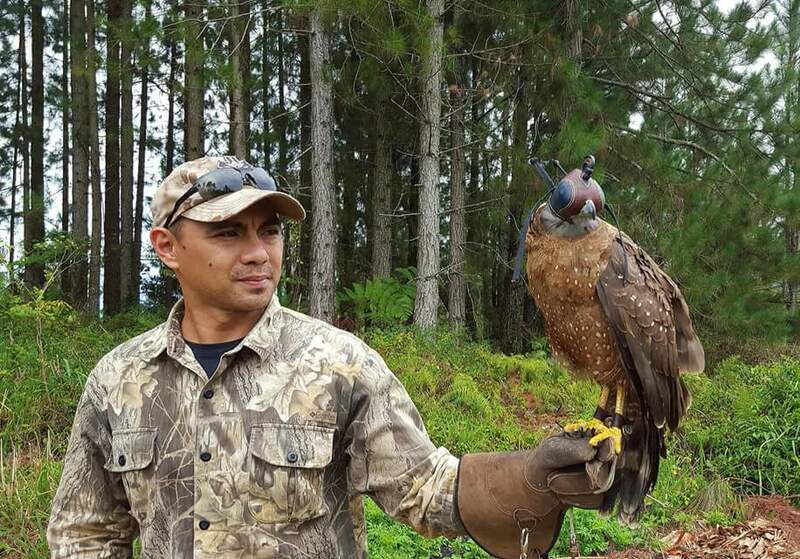 But of all the subjects, he chose birds because he’s afraid of snakes and centipedes, and luckily in Tablas Island, there are 97 recorded bird species according to Oriental bird specialist, Desmond Allen. “I am not even close to one-fourth of it! Since I live in the island, I don’t have to travel far,” says Goby. 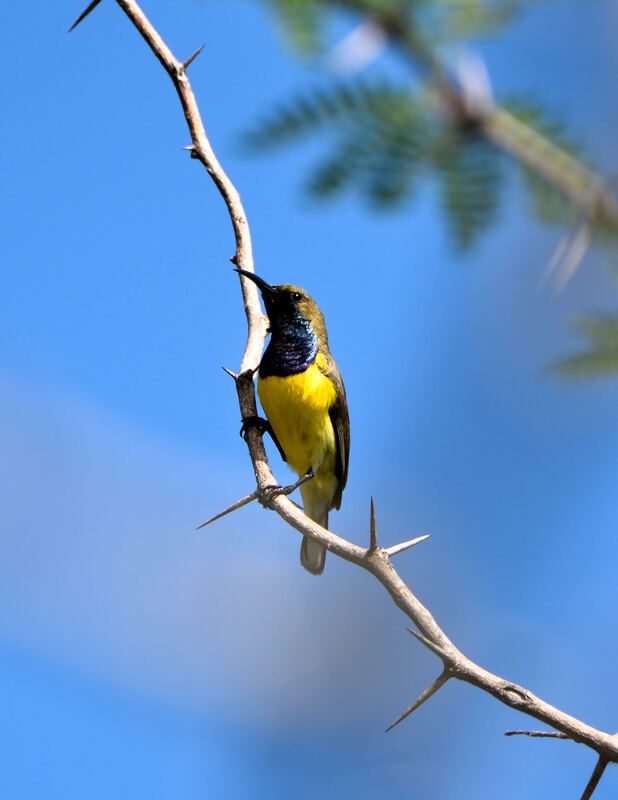 For Goby, every bird photography trip is memorable, but the use of his Nikon D750 with the Tamron lens for the first time taking the photo of Black-naped Oriole is his most unforgettable one to date because of its crisp and clear image. Seeing different kinds of birds excites him as well, just like when he saw the red-eyed bird with grayish white breast with black streaks. “I thought that it was a different species of starling because it was my first time to see one. So I was very excited at the thought that I may have discovered a new unrecorded bird in the island,” he says. But when he checked the Kennedy list (of Phil­ippine birds), he learned that it is an immature Asian Glossy Starling, one of the most common birds in the island, and its feathers will eventually turn glossy black when it becomes an adult. While he considers himself an amateur/novice bird photographer for now, Goby encouraged everyone to get into the hobby. He didn’t have any formal photography training either and relied most­ly on Google for handy tips. “Anybody can be a wild bird photographer without having any formal photography training. Everything can be learned online now. You [just] need to have lots of patience if you want quality bird photos. Find a spot where you can relax while waiting because birds are active in the morning and afternoon when the sun is not too hot,” he says. The Philippines is home to some of the world’s most exotic birds. It’s really fun and exciting to learn and explore more about them, but one needs to respect birds and their habitat. “Do not purposely shoo them away just so you can have that bird-in-flight photograph. Gather your garbage before leaving the premises,” he concludes. 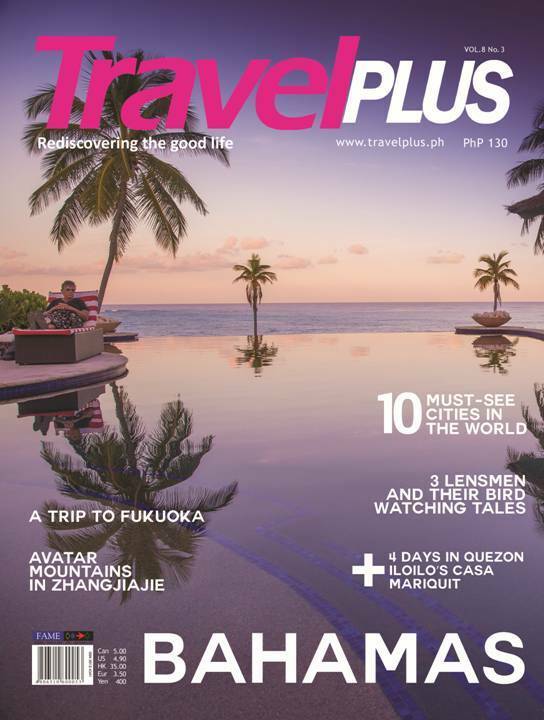 Originally published at TravelPlus Magazine 2016. Please refer to the magazine for the full version. Available at National Bookstore, Powerbooks, Fully Booked, and Book Sale by December 12, 2016 onward.